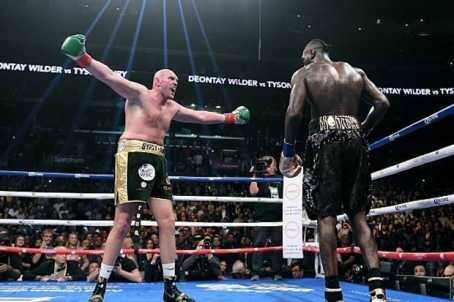 The WBC have given Deontay Wilder and Tyson Fury three weeks to set out for the rematch of their epic world heavyweight title bout. If they fail to reach agreement their second slugging will go to purse bids at the WBC offices in Mexico City on February 3. The WBC have also ruled that the financial split be altered from 70-30 to 60-40 - both in favour of Wilder the champion following the December thriller in Los Angeles. Both Wilder and Fury are both believed to be in favour of fighting each other again and the WBC move makes it even less likely that one of them will fill the Wembley vacancy against Joshua. MySportDab report the WBC have already sanctioned the rematch, in preference to mandating a challenge to Wilder from No 1 contender Dominic Breazeale. The statement read: “Consistent with the WBC Board of governors voting regarding the direct rematch between WBC champion Deontay Wilder and Tyson Fury, the WBC is hereby notifying both camps that the free negotiation period is opened and if there is no agreement between the parties a purse bid will be conducted by the WBC on Tuesday February 5th.